Take a look at our houses for sale in Stoke on Trent or sell your property with ease. At Hunters we understand your property is as individual as you are, every client we work with receives a service tailored to them and their property, including a marketing campaign which is tried and tested. When you instruct Hunters Estate Agent and Letting Agent in Stoke-on-Trent we are not just going to advertise your property we are going to work tirelessly and proactively to achieve the best price in the shortest time possible. Hunters Stoke-on-Trent Estate and Letting Agent customers are greeted by an experienced team of local agents, with the training, knowledge and skills to maximize every business opportunity and increase the chance of selling or letting your property in the Stoke-on-Trent area. People are talking of the Hunters Difference and there are so many reasons to choose Hunters Stoke-on-Trent. We are here to get you there, be that moving up, moving out or downsizing. So if you are thinking of selling or renting in the Stoke-on-Trent and North Staffordshire region, there has been no better time to get in touch. Modern Central Location – located in the heart of Festival Park, our office is easy to get to and we offer an ideal environment to showcase your property to prospective buyer. First impressions count, and our prestigious office ensures your property will get noticed. Parking is available on site for a period of 1 hour without charge. Industry Leading Presentation – in today’s market presentation is key, on-line we only have 3 seconds to make an impression (this includes Rightmove and Zoopla), with this in mind we offer professional quality photography, aerial photography, glossy brochures, accurate floor plans and stunning property tours as standard. Industry Leading Marketing – the team will work pro-actively to ensure your property gets the attention it deserves, with one aim to reach the widest possible audience possible. This includes a strong campaign incorporating online, social media, local press, regional press and national PR. Dedicated Negotiator – during the entire process of the sale, you will have a dedicated negotiator to guide you through. Your expert negotiator will conduct all your viewings, provide honest and open viewing feedback, keep you informed of ongoing marketing and opportunities available to you, keep you abreast of market changes and most importantly negotiate your sale and get you the best price possible. Viewing Service – your negotiator is trained to ensure your viewing results in an offer, your negotiator is twice as likely to obtain an offer than you alone. We regularly conduct viewings and negotiate offers outside of office hours. Areas we cover – we cover the whole of Stoke-on-Trent but this includes Hanley, Burslem, Longton, Fenton, Tunstall, Trentham and surrounding villages. Thinking of Letting Your Property with Hunters Stoke-On-Trent? 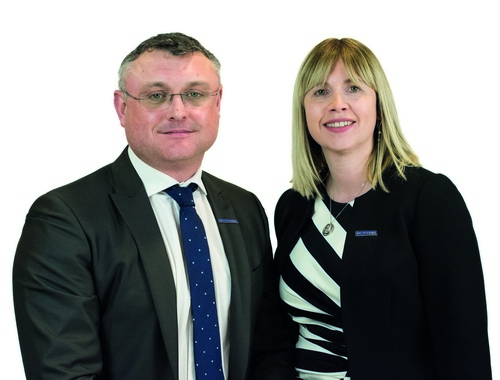 Our dedicated lettings team has a wealth of property industry knowledge and experience within the Stoke-on-Trent area. Hunters can offer advice on everything from attracting the right tenants to improving your capital growth year on year. We live and breathe property, so why not use our expertise to take some of the stress out of managing your investment. Free Valuation Service – aimed at maximising rental income, we will review your current rental income and help to ensure you are receive the best possible rental value whilst minimising void periods. Industry Leading Presentation – we will ensure your property is noticed and stands out from the rest. This includes professional quality photography, accurate floor plans as standard and professional quality brochures. This enables us attract better tenants for your property. Industry Leading Marketing – we will get your property noticed, our marketing includes pro-active on-line and offline campaigns throughout Stoke-on-Trent. Dedicated Negotiator – your lettings negotiator has great relationships with major employers in the area to ensure tenants are waiting for your property. Comprehensive Referencing – all tenants are fully referenced to ensure you receive a tenant you can rely on. Professional Property Management – All elements of property management are covered from inspections and renewals to legal advice. Our onsite team will ensure you and your property in the safest hands. Our professional 3D Walthroughs generate more interested to local, national and international buyers. Please click here for the showcase for the above. VAT Reg No: 887 7714 55 | Registered No: 05863474 | Registered Office: Unit 2, Waterworld, Festival Way, Festival Park, Stoke-on-Trent, Staffordshire, ST1 5PU. A Hunters franchise owned and operated under licence by Cherry Tree Property Consultants Ltd. Stoke on Trent is made up of five towns (in which we cover all of them) including Hanley, Stoke, Burslem, Fenton and Longton. Since the closure of many pottery factories, the industry has been replaced by a modern call centre based economy. Many of the old factory sites have and are being redeveloped into residential property and offer a fantastic opportunity for residential investment. Stoke on Trent is also located near top attractions Alton Towers and Waterworld. Our office is based in Hartshill which bridges Stoke on Trent and Newcastle under Lyme, the area we cover is vast and there is no simple golden goose to investment or buying your ideal home but through our clear understanding and local knowledge we can ensure you find your perfect property, be that an investment property close to the University Hospital, a student house near the University of Staffordshire or 4 bedroom family home in Endon. Stoke on Trent is a great place to live because, inward investment has redevelopment the old derelict factories into residential and office units, many call centres are based in the area, including Phones4U and Vodafone. The area is the base for Bet 365 and the home of premiership football team Stoke City and has large retail centres throughout the city, including Festival Park and The Potteries Centre. Great transport networks including rail links and the M6 providing easy access to Manchester, Birmingham and Derby. There are picturesque waterways, canals and sailing clubs and walking including the Roaches. There are a range of top class schools, including Endon High, Westwood, Newcastle Sixth Form College, Stoke Sixth Form College and a range of well-respected Private Schools nearby; Newcastle School and St Joseph's Preparatory School.